« Horse Meat – Yay or Neigh? Looks yummy!! Since you’re a culinary inspiration for me, I’ve nominated you for the Very Inspiring Blog award! Thanks for the inspiration and sharing your love of food with the world. These look great! I will make these! Definitely need to try these! Thanks for sharing. Putting these on my list of recipes to make once spring finally decides to give winter the boot for good! These look awesome. Gonna share with my friends. Thanks for stopping by my blog good thing it led me to lollipops yay! ❤ This ! Thank you for sharing ! So very pretty!! Saving this for summer!! Cute! Wish it was warm enough here to consider frozen treats! This looks so refreshing!! 😀 yummmm…. Love her blog you should check it out!!! These look awesome! 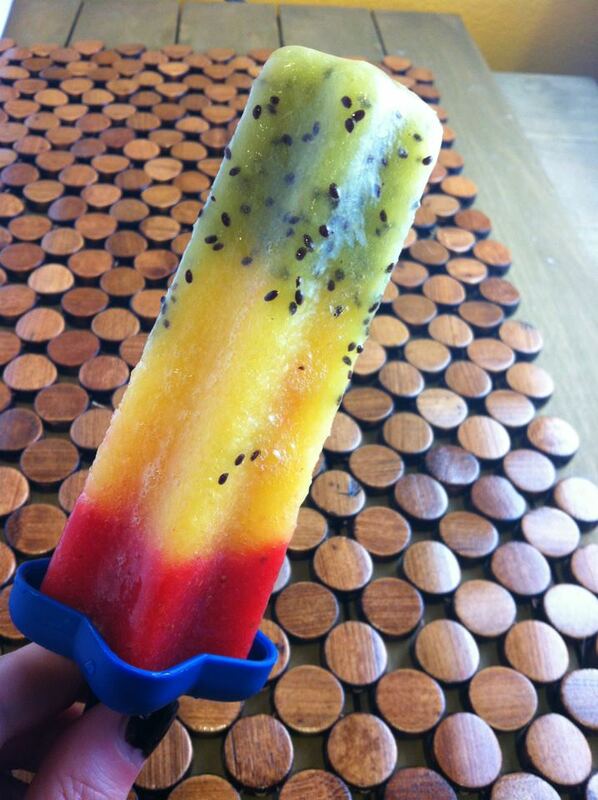 A summer time treat, thanks for posting this!! I was just thinking about how to make these a few days ago because I though I could make them more healthy than the store brand and – wallah! – here you are with the recipe! Thank you! It looks delicious, but I have no blender.. I need to find someone to make it for me! It’s also so pretty! That looks amazing! Thanks for posting. really refreshing for this weather! Such pretty colors! I love how natural the kiwi layer looks with all of the seeds. Your ice lollies sound sweet and refreshing! Next time I’m up all night Ill try it.